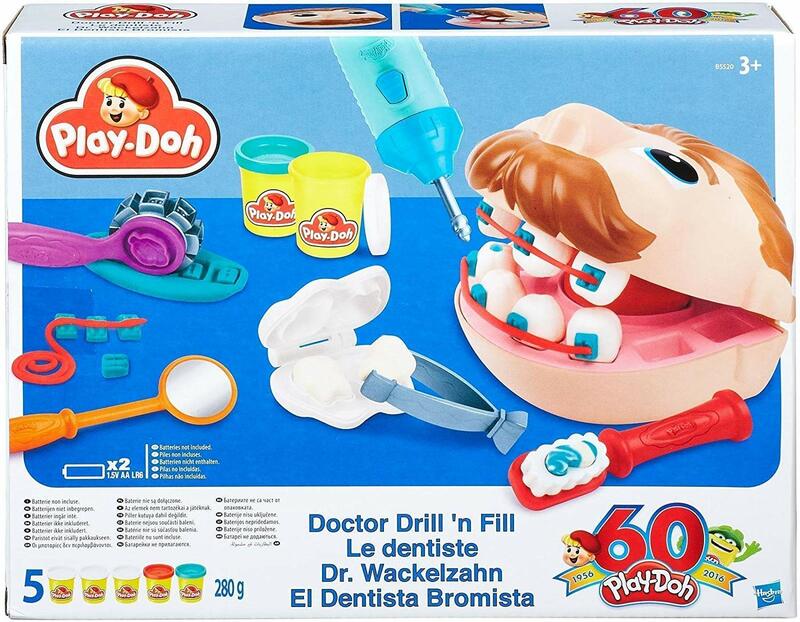 Amazon has the Play Doh doctor drill n fill set on sale for only $6.69 (regularly $14.99). Ships with a $25 purchase. 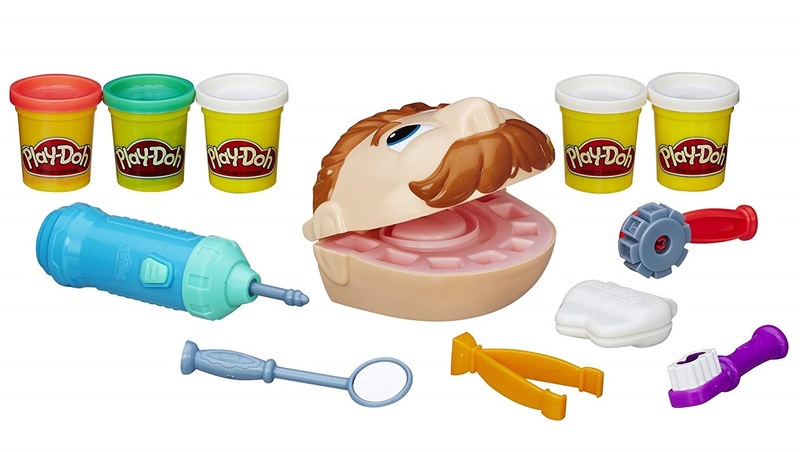 This guy helps make the idea of going to the dentist feel more fun with lots of silly dentist-themed activities. Start the patient's appointment by shaping some teeth with the tooth mold. Fight cavities by giving them a buzz with the electric drill and filling them in with more Play-Doh compound. Add some braces with the roller, and keep the patient's teeth nice and clean by squeezing some pretend toothpaste through the toothbrush. Fun to make food for him to eat and then clean his teeth. Great for kids who are afraid of the dentist.